CHICAGO--(BUSINESS WIRE)-- Hyatt Hotels Corporation (NYSE: H) announced today that a Hyatt affiliate has entered into a management agreement with a M&L Hospitality affiliate for a Hyatt Regency hotel in Sydney, Australia. The hotel, located at 161 Sussex Street and previously part of the Four Points by Sheraton brand, will be rebranded to Hyatt Regency Sydney at midnight on November 30, 2016, marking the Hyatt Regency brand’s return to Sydney. 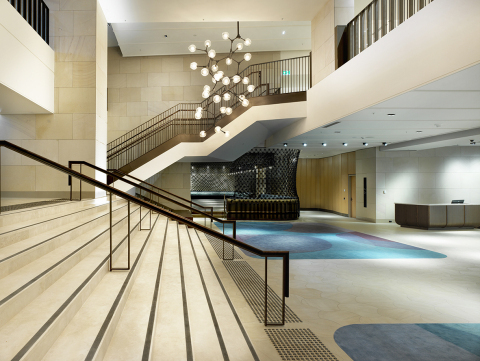 Hyatt Regency Sydney will enter the Australian market during a time of growing demand for business, Meetings, Incentives, Conferences and Exhibitions (MICE) and leisure travel. According to the Australian Bureau of Statistics, the market saw 7.6 million visitor arrivals for the year ending February 2016, which was an increase of 9 percent compared to the previous year. Following a significant $250 million redevelopment and refurbishment, Hyatt Regency Sydney will enjoy an unparalleled location in the Sydney Central Business District adjacent to Darling Harbour, providing the perfect setting for corporate, leisure and meeting and events programs. This expansion will also include a new 24-story tower and 222 additional guestrooms, making Hyatt Regency Sydney the largest upscale, full service hotel in Australia with a total room count of 892. Additionally, the hotel will introduce a 272-seat all day dining restaurant, which will build off Hyatt’s history of culinary excellence, and will also feature the only hotel rooftop bar in Sydney and a Regency Club lounge with stunning panoramic views of the harbor. The hotel will feature more than 37,100 square feet (3,450 square meters) of state-of-the-art meeting spaces for events, including two ballrooms that can seat more than 1,000 people, which will be part of the new pillar-less convention center with panoramic views of Darling Harbour. With a four-ton car lift and a four-ton goods lift, as well as a separate coach check-in facility for expedited registration for large groups, the hotel is positioned to become the preferred choice for conference organizers locally and globally.